WE RUN WITH WOLVES! WE Run Rampant. This amazing night of Spoken word, poetry, music and VAGINAS coming to the Toff in March. Along with my partner in crime Emily Ulman I'm thrilled to be throwing this amazing charity event and live art tribute to the blackstarman, David Bowie, whose surprise death from cancer was a painful reminder of the ongoing battle against this disease. Join us for a mix tape of some of our best-loved poets, comedians, singers, songwriters and cabaret performers including ultra special guests Missy Higgins, Angie Hart, Josh Earl, Alicia Sometimes, Hannah Gadsby, Andy Griffiths and more. All exploring a favourite aspect of the career and life of an artist beyond compare. 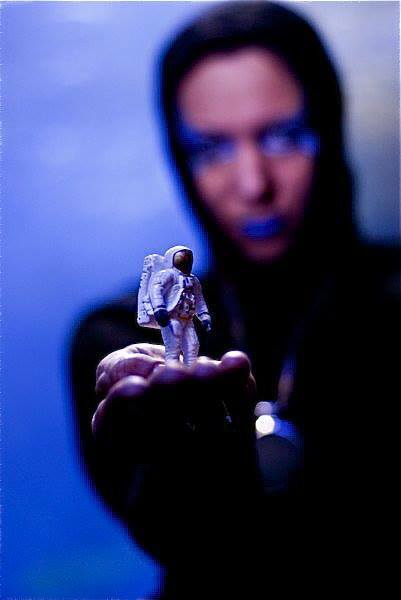 There will be live art, installations, facepainting, a performance of Bowie’s final single ‘Lazarus’ featuring the David Bowie Dancers, cover versions, stories, re-interpretations and a Space Oddity singalong featuring The Ladychoir. All proceeds will be donated to the Peter MacCallum Cancer Foundation to help further life-saving cancer research. Let’s mourn, let’s celebrate, let’s remember, let’s dance. We’re sick of you Cancer, you can go get fucked. Come. 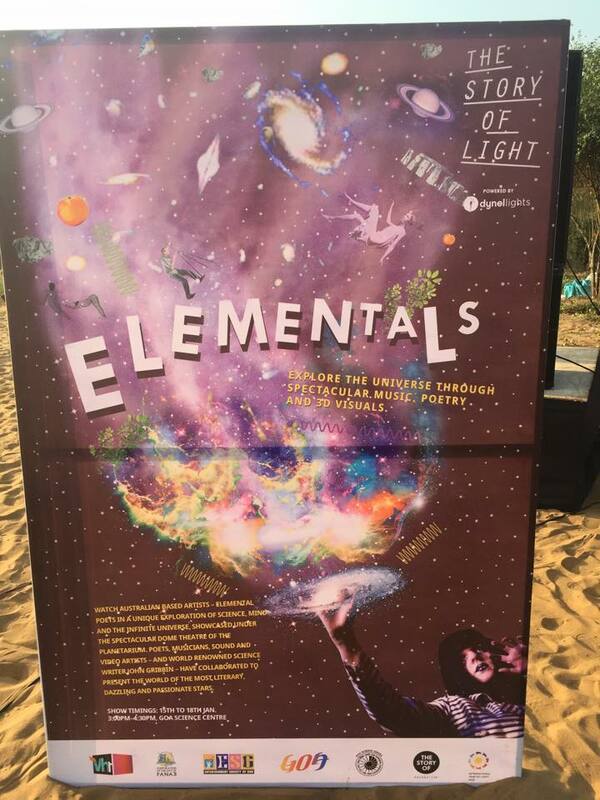 Our show, Elemental will be shown at The festival of light in GOA, India! With live performances by Andrew Watson and Alicia Sometimes! Here is the poster with an extra added bonus 'S' and a little preview. 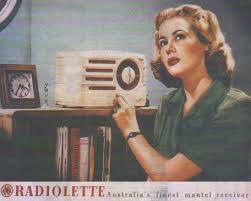 ..
Our wonderful, dark, secret little show Funeral has a sold out season at the Adelaide Fringe! There's no tickets left but there's a strong rumour we're taking it to Dark Mofo in June. Stay tuuuuned. I'm going to DO a DO lecture! I'm so excited! Deep in the Victorian bush away from all internet and power, people gather and share their knowledge and ideas. There's no 'power' but by god it's electric! I'm giving a lecture on why people need poetry. Not the soliloquies and cinquains as much as the poetry of life, the poetry art, the art of living, the full Oh Captain My Captain smackdown. I'm working with the High school in Mt Beauty for an amazing poetry performance at the Mt Beauty Music Festival! 25th - 27th April 2015. MOUNT BEAUTY. come, eat soup and repair hearts with me. thirilledthrilledthrilledbeyondthrilled to be part of this amazing festival! We're sold out but there's a waiting list. Liner Notes at the Byron Bay Writers Festival! Our literary cabaret Liner Notes returns to turn the Festival up to 11. A spoken word tribute to a classic album, as song-by-song a stellar line-up of writers, poets, and musicians explore their personal connection to a musical legend. 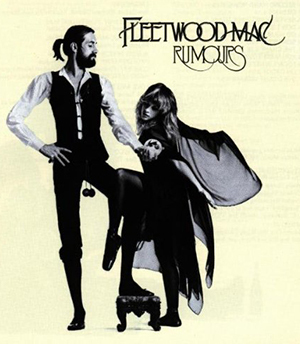 This year we take on Rumours, the 1977 songbook of passive-aggression with which Stevie Nicks, Lindsey Buckingham and the gang invented adult-oriented radio, as they sang about making and breaking up while making and breaking up with each other. Featuring special guests George Megalogenis, Hannie Rayson, Andy Griffiths, Krissy Kneen, Erik Jensen, Clare Wright, Marc Fennell and Zohab Zee Khan with Emilie Zoey Baker and Sean M Whelan. MC Michael Nolan will deliver a potted history of The Mac, and the live LN band will take up tambourines and tulle to recreate the hits of an album that threw a tasselled shawl over the world and hugged it for just a little longer than is friendly. Come for an unforgettable night of stories, spoken word and songs, as we celebrate rock so smooth you could skip it across a lake of Johnnie Walker Blue. COME PLAY DEAD WITH US! It's time to Make more BOWIE! Hungry for a bit of delicious spoken word soul food? Look no further! An all-star lineup of Australian performance poets will be appearing in Sydney and Melbourne for a mini-tour on December 4th-6th. The lineup is Omar Musa (Australian Poetry Slam Champion), Ee'da (Sisters for Sisters), Luka Lesson (Australian Poetry Slam Champion) and Emilie Zoey Baker (Berlin International Slam Champion). Hosted by the amazing WORKSHOP crew, there will be deep thoughts, there will be laughs, there will be feels, all for the bargain price of $15. 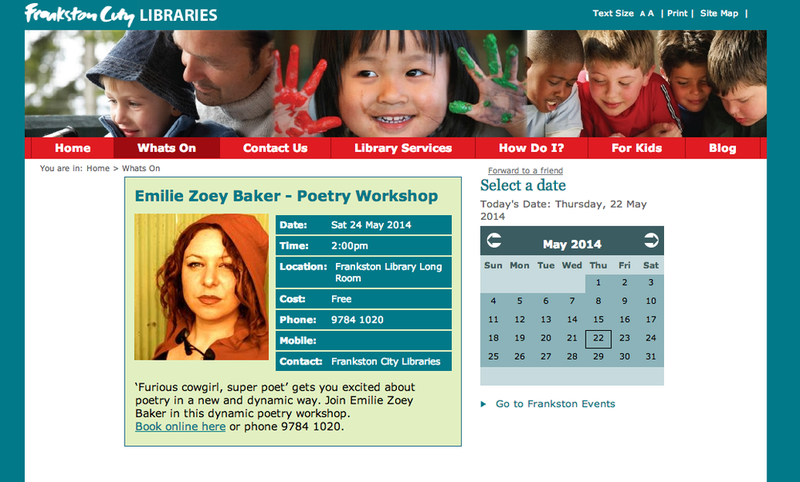 For those who want to learn a few tricks of the trade, there will also be exclusive workshops with the poets for $50. BANG! Book a ticket, tell a friend and come through for this sumptuous feast of words. SYD : Workshop Sydney, 80 George St., Redfern. MELB : Workshop Melbourne, Juddy Roller Studios, cnr Chapel and Johnston St., Fitzroy. 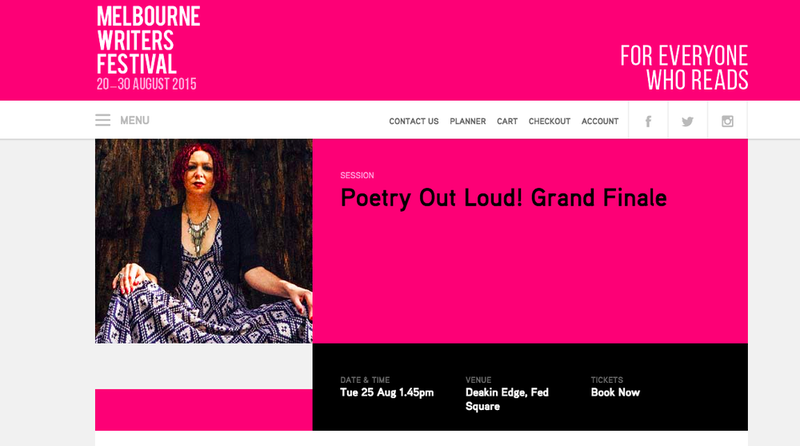 I am hosting the National Australian Poetry Slam at the Opera House! THE OPERA HOUSE! Also taking part in the amazing Word Travels Story Festival. Along with The Tongue, Omar Musa, SOLO, Candy Royalle, Alia Gabres and Mark Treddenick. When: 7pm Sunday 12th Oct.
Also, join us Sat night for the Literary LOVE IN, launch of Australian Love Stories! When: Sat 11th Oct, 7 pm. In Chapters, a tribute to Dylan Thomas's In My Craft Or Sullen Art. Or why on earth would you write poetry? In Chapters is a rolling revue mixing music, literature and film, with an array of singers and players, novelists and poets, from Wales and Australia. We celebrate the centenary of Dylan Thomas, Wales greatest poet. In Chapters is an artistic collaboration between musicians and writers from Wales and Australia. Musicians Richard James (ex Gorky’s Zygotic Mynci), Gareth Bonello (The Gentle Good), and from Melbourne Peter Head and Lucy Wise, team up with Welsh writers John Williams, Rachel Tresize and Desmond Barry, plus Australians Emily Bitto, Emilie Zoey Baker and Danielle Wood. Inspired by the Dylan Thomas poem In My Craft or Sullen Art, musicians and writers have created new work to move and delight you. Doors open at 3.30 and the bar will be open: come and join us for a drink before the event. This venue has limited seating and plenty of standing room. Wot: This is not the greatest poem in the world, this is just a tribute. Come for an unforgettable night of stories, spoken word and songs, as we celebrate a starman surely even Richard Dawkins believes in. It's Melbourne Writers Festival O'clock! And I'm doing a session with the BRILLIANT Alia Gabres, a poet of Eritrean background who has some of the best stuff I have ever heard! It's part of the schools program and it's going to go OFFSKI. We're going back into space! To explore the poetic universe at the Melbourne Planetarium with a return of our sell out show Elemental! With Sean M Whelan, Emilie Zoey Baker, Ryan Van Winkle, Andrew Watson, Claire Fischer, Nat Bates, Ai Yamamoto, Chris Nelms, Alex Scott, Daniel Gorman and an introductory talk by Dr Alan Duffy. Costumes by Two French and extra animations by Emmy award winning animator Drew Berry. Two shows on Thursday July 10 at 7pm and 9pm and Friday July 11 at 7pm and 9pm. Since the dawn of time, poets have gazed up at the stars and pondered who we are and what it all means. Elemental is a unique performance that explores the universe through the eyes of artists. Taking place inside a planetarium, this show combines live music, poetry, surround sound and video, and the voice of UK scientist John Gribbin to explore the universe and ascribe meaning to our celestial experience. Experimental musicians, poets and video artists make a spellbinding and unique exploration of quantum physics and cosmology, with a poetic twist. In 2009 this show was a sell out at MIAF and is now with added exciting new works. In Bendigo, there will be two shows on Friday July 18 at 6pm and 8pm at The Discovery Science and Technology Centre, Bendigo with the awesome Klare Lanson and Neil Boyack. Presented by the Wheeler Centre and Scienceworks. With support from Arts Victoria. I'm in this little puppy and will be reading my poem 'The Vegetarian Zombie' along with a bucketload of other poets. The book will be launched by Philip Salom (also in the anthology) and there will be wine. WINE! Where: Collected Works Bookshop, 1/37 Swanston St, Melbourne. Get: just walk on up. Supporting or 'wing woman-ing' The Bedroom Philosopher's book launch where he will read the entire book, yes that's right THE ENTIRE BOOK. From 9am to 9pm with crazy performances, wondrous cameos and possibly eggs, definitely eggs. The book is about being an artist in Australia. It’s the result of two years work and interviews with over 100 artists. It’s a tell-all memoir meets rogue self-help. It’ll be released May 28 through Affirm Press. Get: Just come on down! Book here and let's kick some arse. 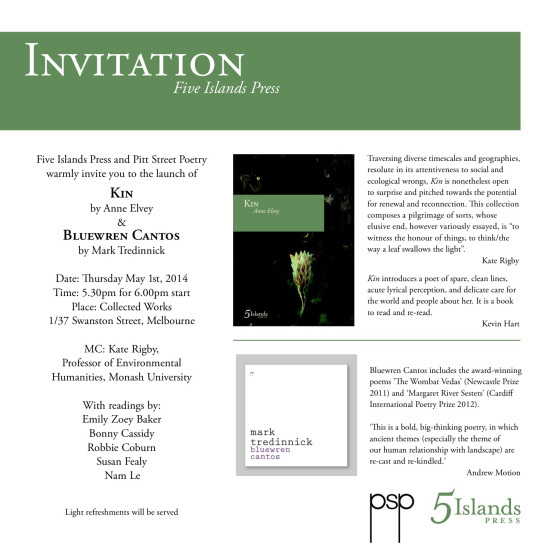 I am reading at Mark Treddenick's book launch! He's one of my absolute favourite poets and his new collection 'Bluewren Cantos' is absolutely stunning. Also launching is Ane Elvey's 'Kin'. Thursday the 1st May at Collected Works. I'll be reading a couple of TT's (Tredennick Treats) along with Nam Lee, Bonny Cassidy, Robbie Coburn and more! Published by 5 Islands Press. The Wheeler Centre For Books Writing and Ideas presents; Power Slam! Performance poetry punches through to the truth with its high energy and biting satire. As part of the Weather Stations project, a global initiative that places literature and storytelling at the heart of the conversations around climate change, four poets will take on the powers that be in a night of rhythm and rhyme, focusing on what it means to be an artist living in a hostile world rife with political and social injustice. Polish Weather Stations representative Jaś Kapela takes to the stage in an incendiary event that will tackle today’s most politically charged issues, most notably climate change. Kapela is a renowned master of the form, as well as an accomplished novelist and blogger. Get: Book here, it's free! I am performing at this Mysterious event that's a 24 hour 'Art Walk' through Geelong. Discussing the BEJESUS outa love with some of my favorite writers on the planet! Alicia Sometimes and Bonwyn Lovell with Inkerman's Donna Ward. In this session, three fine poets capture the many faces of love and give a resounding answer to the question posed at the Perth Writers’ Festival back in 2010 when novelist and songwriter Gregory Day asked “who’s writing the love in Australian poetry”? We’ve found out just who is writing the love poetry, and in this session our brilliant poets read from their own work and also share their favourite love poems by other writers. I AM TEACHING AT THE BANFF CENTRE IN CANADA! I am so totally thrilled I can barely contain myself. 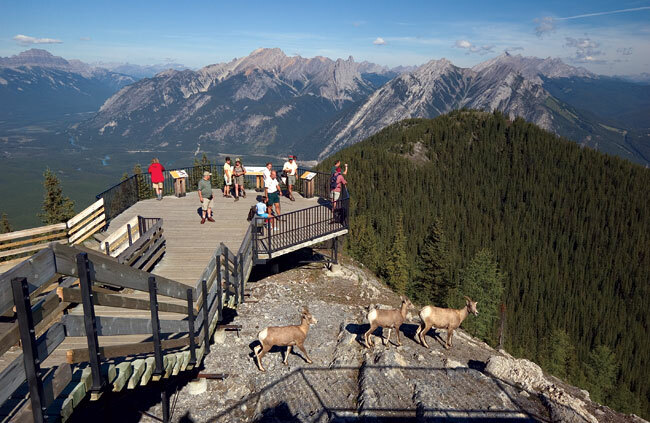 The Banff Centre is a creative wonderland set in Canada's amazing Banff National Park. I am the first ever Australian to be core faculty for the annual spoken word program and I'm beyond excited! I'll also be staying on to do a self directed residency till the end of April. Look at this, are you freakin' kidding me? "The Banff Centre's Spoken Word Program is the first program of its kind, offering a unique milieu for spoken word artists to explore and develop their voices and career paths. The program offers space to write, time to develop strong performance dynamics, workshops, special events, public readings, studio recording time, one-on-one editorial assistance from experienced writers, and the opportunity to engage with a vibrant network of spoken word artists. Each participant will design a personal program to reflect her/his individual needs. World-class faculty will present workshops covering such topics as history, composition, performance, new and multimedia, musicality, orality, sound, spirit, language, body, and theatre." I'm on the bill for People Of Letters NEW YAWK! For the official Woman Of Letters US tour. I'm soooo excited to be this amazing bill which is so awesome it's almost a Bill Murray. Bicycles are great! We love them and we love poets who use them, write about them, celebrate them and of course, any other form of transport that is kind to the planet. On Your Bike is a night of poetry and spoken word dedicated to this humble and wonderful machine. This event is supported by City of Melbourne #inbetweenmelb and Australian Poetry for which we are most grateful. with Sean M Whelan on Books And Arts Daily! Wed Feb 5th 10.30 Am. We'll be reading our poem 'The Smell Of Books' and perhaps we'll nail it. What IS the smell of books? I will be performing and Panel-ing for the first Cherchez La Femme of 2014! "Ever wondered if there's such a thing as women's poetry, feminist poetry, or a poetic sensibility that's recognisably feminine? Or if the incredible talent of Toni Morrison, Margaret Atwood, Sylvia Plath, or Oodgeroo Noonuccal might never have been discovered because they weren't men? Is there a woman poet you love that is anti-feminist? 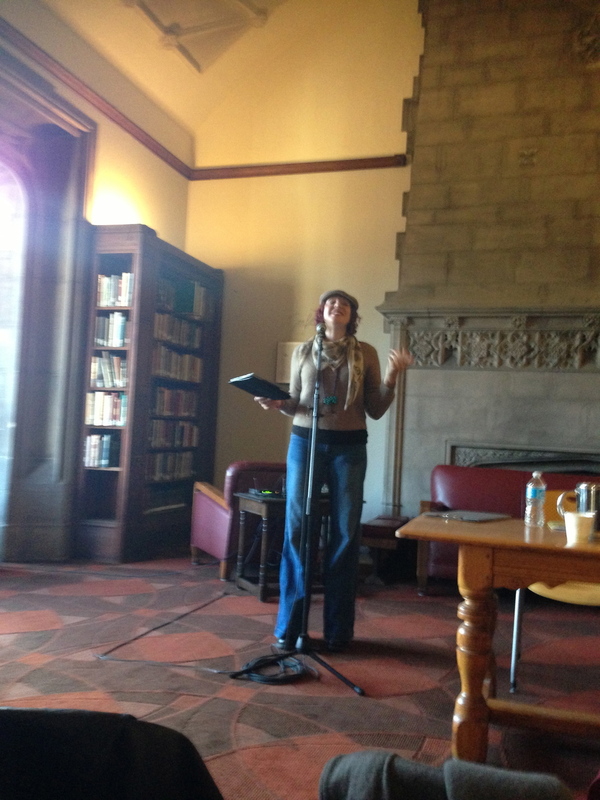 Can the poetry be good if the gender politics are not? Is poetry more culturally diverse than other artistic genres? Why are so many gatekeepers of poetry not only male but boorishly hard on women poets? These questions and more come to mind when I consider the incredible artform that gave us the gift of lyrics, predates the novel, and has played a big part in the narrativisation of love down the centuries. How do women fit into this incredibly complex and elastic genre? Is there a gender split when we look at written poetry, spoken word, slams and MCing? We know that women are so well-represented in the world of poetry, but are they being supported? I don't know about you but I could do with more poetry in my life. I think about it all the time, and I hear it, but I don't read it as much as I like, and I haven't written it for an age. It's so important and overlooked! So first out of the gates this year at a brand new venue, I'll be hosting Feminism and Poetry with a lineup of absolute superstars. And as an added bonus we'll have special guest performances from Matthew James and Sean M Whelan. I can't wait to welcome these amazing poets and thinkers to the CLF stage, and to share the new venue with you all. It's fully wheelchair accessible, and that's taken nearly a year to secure, so we're thrilled. There is also big news on the ticketing front for CLF and you can find more details at the brand new site cherchezlafemme.com.au under Tickets." Wot: FEMINISM and FUN. FUNNYISM. I'm so thrilled to be in the latest edition of Women Of Letters! 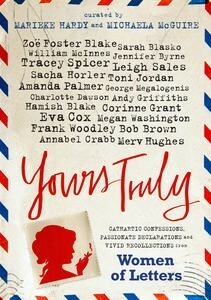 Yours Truly published by Penguin! I have a 'letter to my darkest secret' and I'm frothing with delight to be in a book amongst some of my ultimate lady heroes like Annabel Crabb, Amanda Palmer, Missy Higgins and Eva Cox! Seriously, like stick a fork in me type stuff. Supporting Slam Legend Bob Holman! Wot: Sweet Talkers! With BOB HOLMAN, EMILIE ZOEY BAKER & ANTHONY O'SULLIVAN. Music from PHILEMON and hosted by RANDALL STEPHENS. What I Learned from Doctor Who: Live taping of the Splendid Chaps Podcast! Calling all Doctor Whovians! Join comedian Ben McKenzie, writer John Richards and Emilie Zoey Baker for a live taping of their Doctor Who podcast, Splendid Chaps. The podcast is part of a year-long project to celebrate all things Doctor Who.This show will focus on the educational origins of Doctor Who. What can we learn from the good Doctor? How accurate is the program? And how has he changed our lives? performance panel: Tales Out Loud: Poetry Edition at the Malvern Library! Women Of Letters ON THA ROAD! with Marike Hardy, Claire Bowditch, Laura Jean McKay and Michaela McGuire! Working in indigenous schools to bring slam to the red sand! 23th-27th September: Tennant Creek, Arlparra, Ampilatwatja & Wauchope! Write Around The Murray, the Albury Writers Festival! Wot: The annual spoken word cabaret extravaganza! Performing the whole entire feminism mash up poetry advertising extravaganza 'Emilie Laughing Alone With Salad' at the Burrinja Cafe as part of the Autumn Authors series in the Dandenong Ranges, SO EXCITED! That was a long sentence! also THERE WILL BE TIM-TAMS. Ps. did I mention THERE WILL BE TIM-TAMS? Do we utter the words 'cultural cringe'? Can we talk about the future without mentioning the past? Is the Australian icon a pair of pre-Abbott budgie-smugglers and a scalding hot Four'N Twenty? Is it the officially-decreed (by whom?) "barbie" on Australia Day or a north coast thunderstorm cracking over canefields? And what of the towns themselves? Do all girls in Melbourne really wear matte lipstick and opaque stockings? Does living in Brisbane make you a better surf guitarist? Do we have to talk about Sydney and its pokie pubs and Emerald City harbour at all? Adelaide afternoons, Darwin nights? And all the while do the imprints of Australia's frontier days and "the bush" still echo through our lives as we sit in casually chic cafes, the knowledge of all that raw land out over the horizon weighing on us? These are questions without straightforward answers; questions that arise when we talk about Australia - as four Australian performers will do on April 28 at the Toff in Town, with a special night of spoken word, song and performance. Emilie Zoey Baker goes all hot and cold on her journey from Uluru, to Toronto, from Montreal to Mexico. Her accent confusing Canadians, exciting New Yorkers (!) and making Mexicans furrow their brows. 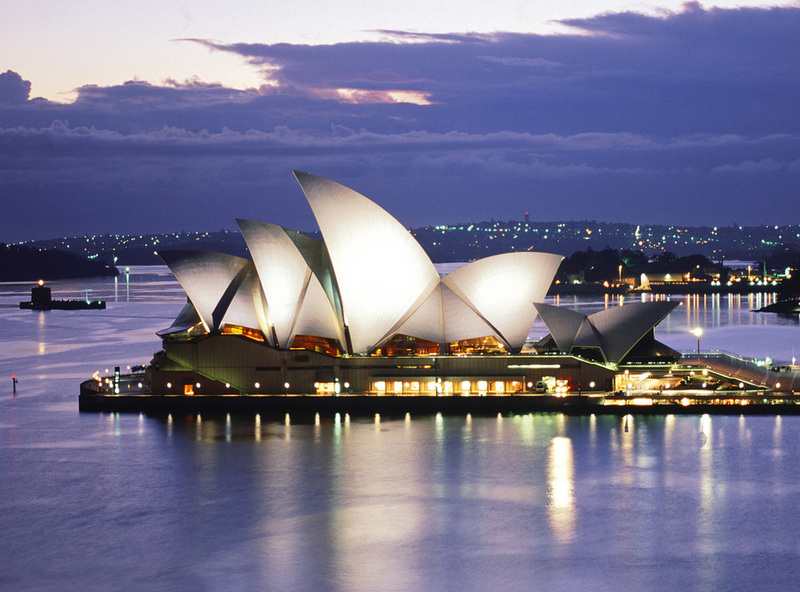 Do you get more Aussie when you travel overseas? Does the occasional 'G'day' make a surprise exit from your mouth? Have you ever said 'Ta' to an American only for them to say, 'what, like the stuff on the road?' Yep. A linguistic exploration of the Australian Identity through weird poetry, strange stories and the occasional no worries, mate. Hosting Women Of Letters at the Regal Ballroom! On Sunday, April 28th, WoL will present together for the first time ever on stage: comedian, masterchef and cookbook author JANE KENNEDY, lead singer of Teeth and Tongue JESS CORNELIUS, costumier to the stars ROSE CHONG, digital artist and photographer BINDI COLE, and author and creator of Phryne Fisher KERRY GREENWOOD. Canadian tour with Montreal prize winning poet Mark Tredinnick! 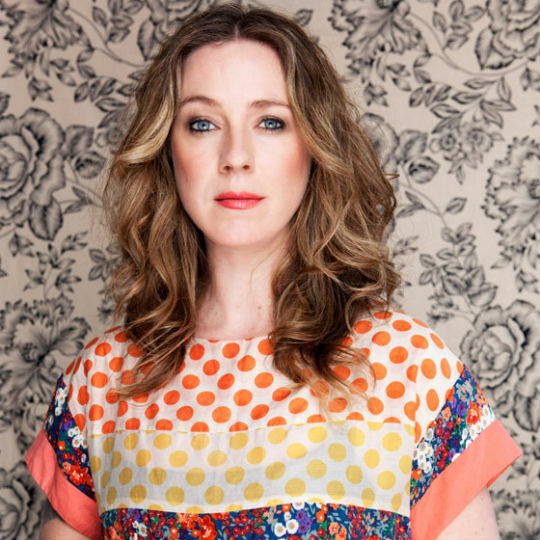 Women of Letters will be bringing together on stage for the first time: Musician, writer, and national treasure CLARE BOWDITCH, paired with her childhood friend, TinPan Orange singer (and the voice behind the famous 'Dumb Ways To Die'!) EMILY LUBITZActor, writer, director and Play-school heartthrob RHYS MULDOON, paired with his friend and musical collaborator, rock legend and Spiderbait drummer KRAM, Director of literary institute The Wheeler Centre and delightful raconteur MICHAEL WILLIAMS, paired with his magnificent wife, Triple R presenter MICHELLE BENNETT, Poet, cartoonist and commentator MICHAEL LEUNIG, paired with his rakishly handsome son, performer and magosopher SUNNY LEUNIG and award-winning poet and international slam champion EMILIE ZOEY BAKER, paired with her partner, speechwriter and senior editor at Penguin Books MICHAEL NOLAN. With Kween, Lamb, Omar Musa and Tommy Illfigga.